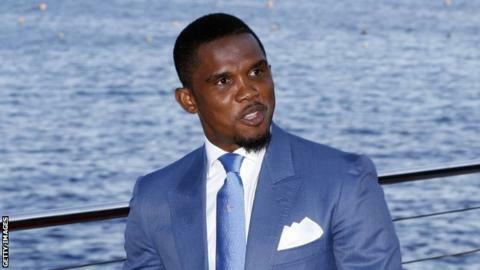 Former Cameroon captain Samuel Eto'o's stint as interim player-manager at Turkish side Antalyaspor has ended. He has been replaced by Jose Morais, who was Chelsea's assistant coach under his compatriot Jose Mourinho until December. Morais, who was linked with taking over at Swansea, also worked with Mourinho at Real Madrid and Inter Milan. Eto'o took over in early December and won his first two games in charge before suffering two losses and a draw. Morais, 50, signed a one-and-a-half year contract at a ceremony with Antalyaspor chairman Gultekin Gencer, the club said in a statement on their website. Antalyaspor were promoted to the Super Lig at the end of last season and they are currently 11th. "The first aim is to lift our position in the league. This year the club is celebrating its 50th birthday. We need to present something new to our fans as a gift," said Morais. Eto'o, 34, who joined the club on a three-year contract in June, took over from Yusuf Simsek when his contract was terminated by mutual consent on 7 December. The former Barcelona and Chelsea star will continue at the Turkish club as a striker.